The size of a baby grand piano, the instrument imaged objects and events that occurred in our own solar system—such as comet Shoemaker-Levy 9's crash into Jupiter—to the most distant cosmological images that had ever been taken in visible light. 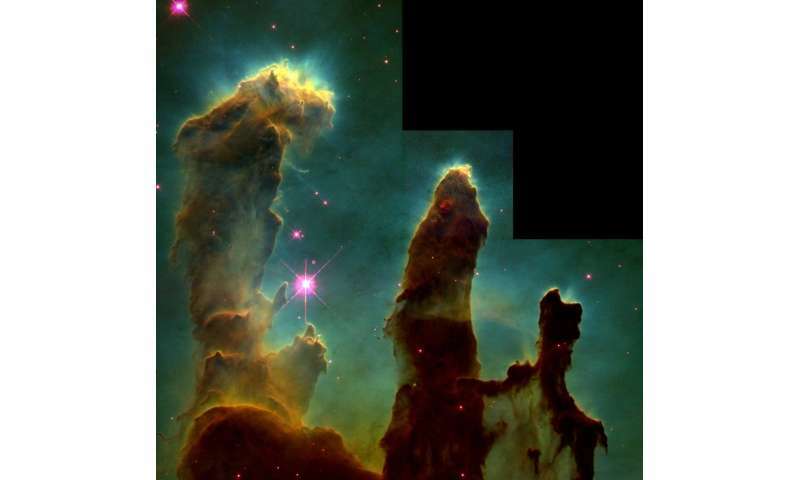 It generated breathtaking snapshots of galaxies, exploded stars and nebulae where new stars are born. During the instrument's tenure, Hubble managers pointed the telescope at a single, black patch of sky for more than a week and found thousands of previously unseen galaxies. 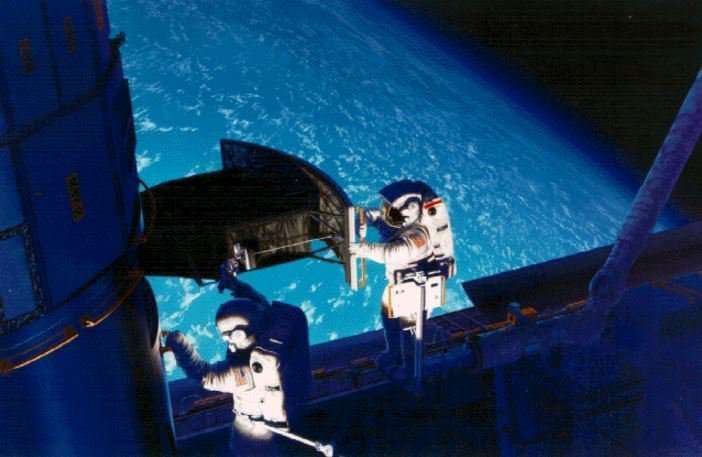 In June 1990, NASA announced that the Hubble telescope was not working as expected. WFPC2 team members say they remember that the reaction from the public and the media was often pessimistic or even incredulous. Trauger watched network news anchor Tom Brokaw begin his program that evening by saying, "The Hubble Telescope you've heard so much about—it's broken." Trauger and his team came up with a potential solution. The primary mirror error caused light striking different parts of the mirror to come into focus at different locations, so the team had to figure out how to redirect it to the appropriate focal point. Their solution was to reverse-engineer the problem: They would place four identical nickel-sized mirrors inside the instrument—one for each of the four cameras inside WFPC2—with the same error as the flawed primary mirror, but where the primary mirror was too flat, the new mirrors would be curved too deeply. Together, these two errors would cancel each other, producing the equivalent of a single mirror with the correct shape. NASA accepted JPL's proposal to build a WFPC replacement. The agency had planned to carry out Hubble repair missions every three years and decided to maintain this schedule. The first repair mission was set for the fall of 1993. JPL would need to deliver the replacement by the winter of 1992—just over 2 years away. The race to repair Hubble was on. 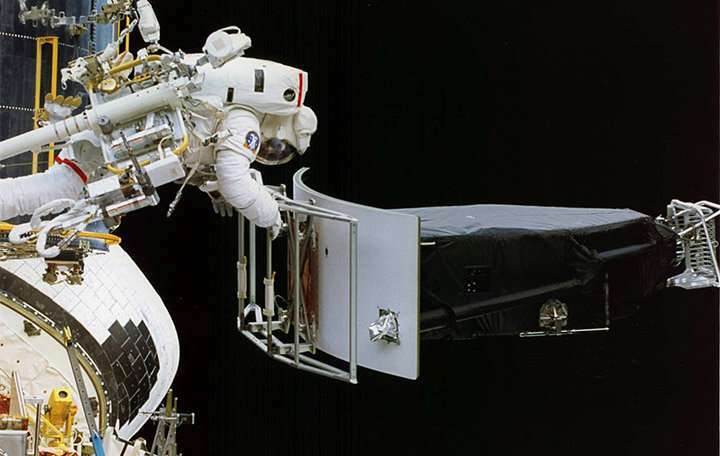 In May of 2009, astronauts removed WFPC2 from Hubble and replaced it with the Wide Field Camera 3 (WFC3), which continues to operate today—28 years after Hubble first switched on. WFPC2 was later placed on public display at the Smithsonian Air and Space Museum in Washington, D.C.